It’s winter and our body notices it. The cold has made an appearance and many of us this situation lowers our defenses and affects our health. It is true that the way of life and how we protect ourselves from the cold has a lot to do when it comes to getting our body to cope with the inclemencies of winter. Therefore in this post we want to highlight some measures that we can take to increase the defenses for the winter. Some situations of stress, poor diet … They can lower our defenses and make us more vulnerable in winter. To this we must add the constant changes in temperature that we suffer when going out to the street from closed spaces. These variations can increase the risk of getting colds. Therefore it is necessary that we pay special attention to protect our body . Many times there are traditional tricks that can help us achieve greater defenses, but other measures that we can carry out many times are not taken into account. For this reason it is necessary to emphasize some points that we can not ignore and that will help us a lot when it comes to achieving good results in terms of increasing defenses. In the first place we are going to stop in the feeding . As we have said on countless occasions, food is essential at the time that our body is in perfect condition. Sometimes we do not notice that the general state of the organism will depend a lot on what we put into our mouths, that is why, especially during this time, we must strengthen ourselves to be able to face attacks coming from abroad and caused by the inclement weather. Following a diet rich in vitamins and minerals is essential when it comes to protecting against colds. Maintaining a perfect balance is essential. Whenever we talk about colds and vitamins, we think about vitamin C, and nothing is further from reality, since there are others such as vitamin D that play a more important role when it comes to shielding ourselves from a cold, as demonstrated by study conducted by the University of Cambridge . According to this study vitamin D helps strengthen the immune system , in addition to helping in the fixation of calcium. The problem is that in winter to receive less sun, the body produces less vitamin D and therefore increases the risk of suffering from colds, as this vitamin releases antimicronianos peptides that have a protective effect of the body. For this reason it is necessary that we include foods that help us produce vitamin D, in addition to trying to expose ourselves to the sun about 10 minutes a day. With us in the face is more than enough. Some foods in which we can find vitamin D in large quantities are: Fatty fish such as salmon or tuna, the egg also contains it in large quantities, borage is a vegetable that will provide us with vitamin D in very good quantities. To this we can add food supplements or foods fortified with this type of vitamin. Vitamin C is perhaps the most famous in terms of preventing colds. But we must say one thing about it, and that is that there is no conclusive study on its direct action in colds. It is true that vitamin C helps the body in general. Especially when it comes to protecting cells from the effects of free radicals, as it is a potent antioxidant. For this reason it has become popular, but there is a study in this regard that refers to the action that vitmaine C has on the flu epidemic. Especially in the effects of it and mitigate them and make them less obvious. In spite of everything, vitamin C must be taken into account as a good antioxidant that in the long run will help us to be stronger and better fit any cold. As for vitamin C, we can find it in foods such as citrus, pepper contains it in large quantities, cabbage will also provide us with vitamin C as well as green leafy vegetables. Another study published highlights the importance of vitamin E when it comes to mitigating the effects of colds, especially in older people . It is a vitamin that had never been taken into account in regard to colds, but we want to highlight this study that makes it a good ally when it comes to achieving a better general state of the body. Especially the effect that this vitamin has on the body is that first of all it is a powerful antioxidant that will help strengthen the body’s natural defenses . Together with this the study highlights its effect when it comes to strengthening the organism and thus improving its response to colds and infections of this time of year. Hence, it is a necessary and very useful vitamin when it comes to mitigate or reduce the effects of the cold. Vitamin E can be found in foods such as: whole grains, nuts, olive oils, sunflower and soybeans, in addition to wheat yeast. In the case of minerals, we will highlight zinc . According to a study published in this regard, this mineral has an important preventive effect, as it will help strengthen our body and make it more resistant to attacks by viruses and bacteria. In addition, if we have a cold, it will help us to considerably reduce the effects of it on the body. Zinc makes the functioning of the body’s natural defense system work perfectly . Its deficit makes the body’s natural defenses go down and with it we run more risk of getting infections. For this reason it is important to conserve an intake of this mineral in a habitual way. Especially in winter, which is when we will need an extra contribution of defenses and especially prevention. Sport is another point to keep in mind when it comes to preventing colds. According to a study presented by Charles E. Matthews of the University of South Carolina , physical activity will help strengthen our body against colds. Not only will it be a preventive measure, but it will also help us to make the symptoms of them much milder. The reasons that it argues are that sports help us to eliminate stress and make us feel much better . The release of endorphins causes our body to be in a more relaxed state and therefore much better in terms of defenses. Exercise helps in this way to strengthen the body’s immune system. Practicing it in a habitual way will help us to be better and physically stronger. From this study we can also derive the importance of rest when it comes to preventing colds , as a rested organism will help us achieve stronger defenses. the lack of rest increases the stress which can affect the body’s defenses and with it the response we are going to have to the attacks of viruses and bacteria. For this reason, rest is essential when maintaining an organism in perfect condition, and we must take care of it and give it the importance it has if we want to become strong in the face of the inclemency of winter. In addition, resting well will affect our mood, something that also has a lot to do with stress and the response of defenses. Taking advantage of food supplements in winters will help us to strengthen the organism and cover deficiencies that we have in our daily diet. Of course, a supplement should never replace a balanced diet. Maintaining an optimal mood is necessary. Laughter is a good ally, as well as avoiding situations of stress that diminish our defenses and make us more vulnerable to attacks from outside. Caring for sudden changes in temperature is important. For that reason we must take care of the clothes that we are going to use. We must take care to maintain our body temperature to avoid exposing ourselves to external attacks. 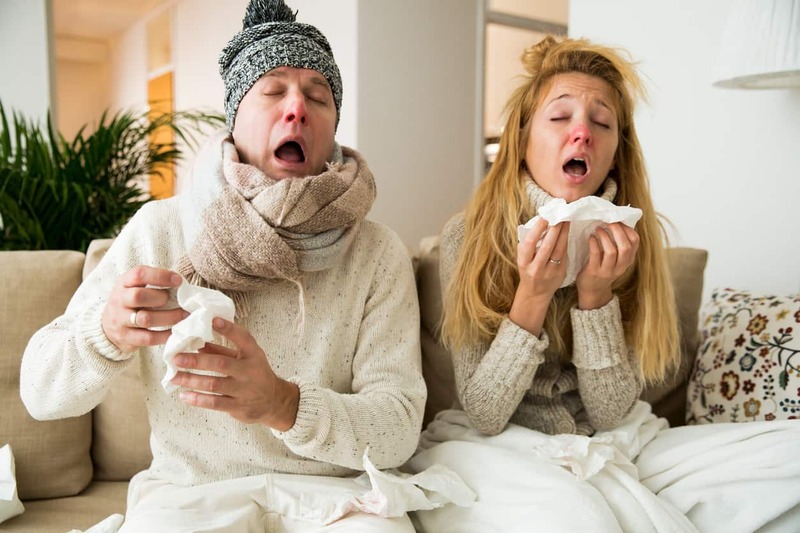 Smoking and drinking are not good allies against colds, in addition to diminishing our defenses, in the case of suffering from a cold it makes the symptoms worse and the recovery process is more complicated and costly.